Mughlai cuisine is a style of cooking developed in the Indian subcontinent by the imperial kitchens of the Mughal Empire. The cuisine consists of the dishes that were prepared in the kitchens of the royal Mughal Emperors. The culinary trail in India has been greatly influenced by an amalgamation of various cultures. Traditionally vegetarian and simplistic, Indian cuisine evolved with the influence of several religious and cultural traditions over centuries. 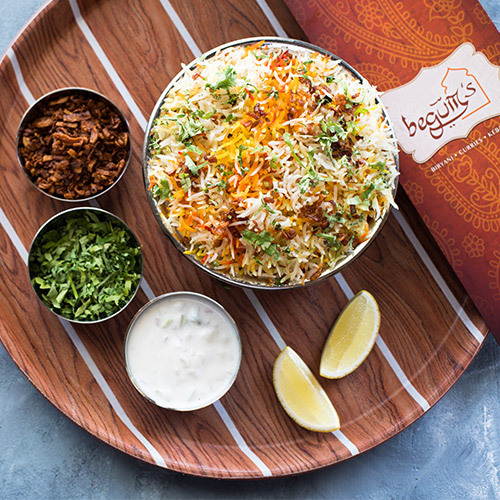 The Mughal gastronomic tradition is one of the most marked influences on Indian cuisine. The taste of Mughlai cuisine is often associated with a distinctive aroma and the taste of ground and whole spices. 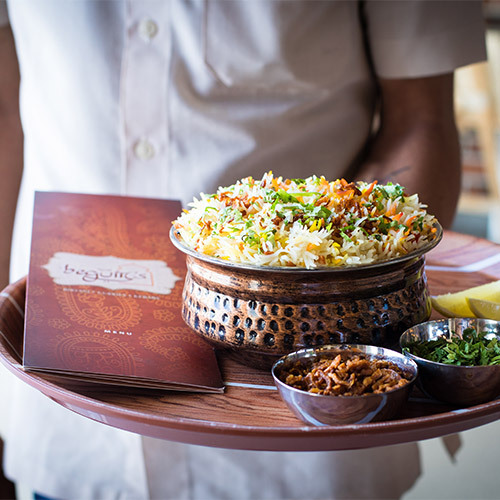 Mughlai food offers an amazingly delicious variety of food ranging from hot spicy shorba or soup to saffron enriched biryani cooked over slow fire to ginger based meat curries to puddings with delicate flavours of rosewater and cardamom. Mughlai food occupies a commanding position in the popular cuisines of India.